This naked cake was created for Victoria and Julian at Wilderness Wood, East Sussex. The brief was a summer inspired naked cake for a relaxed and informal wedding. 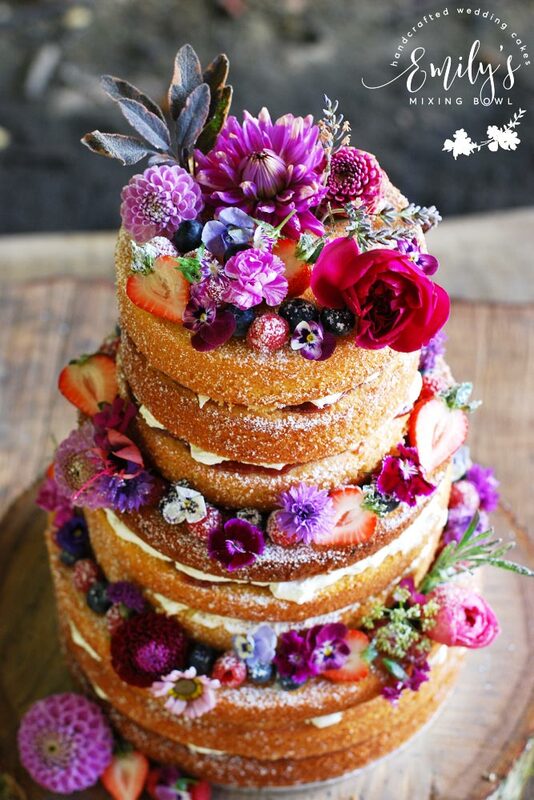 The flowers for this cake were all edible and provided by Maddocks Farm Organics, I also used summer berries and finished the cake with a dusting of icing sugar.